‘Game of Thrones’ season 7: Stark children plotting against Little Finger? Little Finger's out to take down one of the Stark sisters but there are hints that he might just be up against something bigger. The final episode of the seventh season of “Game of Thrones” will be airing this Sunday and there’s still a lot of angles in the series that must be wrapped up. One of these events is Little Finger’s presence in Winterfell and how he’s affecting the young Starks. Those who have been keeping up with the series would know that Petyr Baelish, who also goes by the name Little Finger, is currently holed up in Winterfell to keep an eye on Sansa Stark. However, some of the young Starks have managed to stay alive since the first season and they have finally returned home. In the previous season of the show, Jon Snow and Sansa took back Winterfell from Ramsay Bolton after the bloody Battle of the Bastards, which also cost young Rickon Stark’s life. This season, Bran Stark and Arya Stark made it back home to everyone’s surprise. The three young Starks have reunited in Winterfell while Jon is away trying to convince his kin, which no one in the show is still aware of except for Bran, to help him and the north in their fight against the White Walkers. Huge things are happening outside the walls of Winterfell but Little Finger has somehow once again ignited a fire within the traditional home of House Stark. In the previous episodes of “Game of Thrones” season 7, Little Finger lured Arya into finding a message that Sansa wrote back when she was still in King’s Landing, under Cersei Lannister and Joffrey Baratheon’s control. Sansa was forced to write a message to Robb Stark, stating that their late father was indeed a traitor. Through the little old message, Arya concluded that her older sister betrayed her family just so she can save face and still be part of the royal household. In last week’s episode of “Game of Thrones,” the sisters are shown being at each other throats, throwing shade at each other but there might just be more to their bickering than what meets the eye. Stark sisters teaming up against Little Finger? There are telltale hints that there’s more to Sansa and Arya’s sibling drama and fans reckon that they’re actually staging something more devious against Little Finger. This is supported by several instances in “Game of Thrones” season 7, showing that the sisters would know better than to go against family and become fools to Little Finger's schemes. First, their reunion signified how they meant to each other and second, the two girls are now women, who have gone through different kinds of hell so this means, they probably won't be easily swayed with petty tricks now. The said line goes, “The lone wolf dies, but the pack survives,” which most likely points to Baelish as the lone wolf and the three Starks as the pack. Fans are expecting the creators to wrap up the sibling drama in this week’s episode, hoping to see Little Finger’s awaited demise. Aside from that, Sansa has been adamant on how she felt about Little Finger and she has reiterated many times how she doesn't trust him at all. 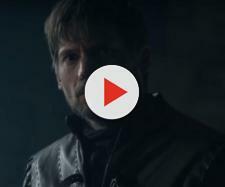 Last week's episode revealed how Arya has somehow placed her trust in Sansa, hinting further that the sisters may have something up their sleeves especially after sending away Brienne.